Newspapers and radio stations were full of it yesterday, so if you missed the food revolution of the month, here is a recap. Why spend hours lingering over a beautifully cooked meal this Christmas when you can eat it from a tin? 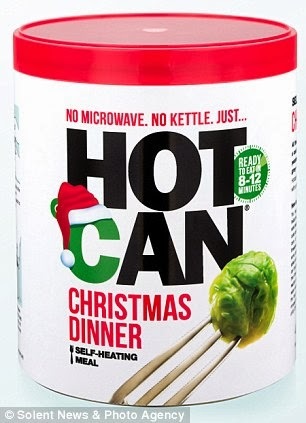 That's the message of Christmas Dinner In A Can, which promises to transport you back to your student days with a self-heating, pre-packed meal that you can eat and bin before the Queen's speech is televised. Forget culinary delights and sparkling conversation over candlelit tables: these 400 gram tins, offering "turkey casserole with all the trimmings," are all about efficiency. 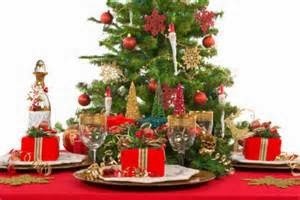 Instead of slaving over Brussel sprouts and roast turkey, lazy chefs can "simply remove the rubber cap, pierce the holes, open the insulated can and try not to drool on yourself as a totally safe exothermic reaction heats up your Christmas chow in about 12 minutes." And if that doesn't conjure up the festive spirit for you, I don't know what will. (Well, I do, but I'm not sharing). Granted it might make you feel a bit like a cat, but these canned feasts - modestly priced at just £5.99 are available from website www.firebox.com who are selling the Christmas Dinner HotCan for the first time this year. 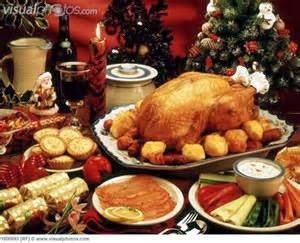 A spokesman is reported as saying, ''Christmas Dinner will never be the same again. There’s no need for pesky ovens, microwaves or kettles - just sit down, crack open the Hot Can, relax and enjoy Christmas turkey with all the trimmings, winter veg, chipolatas, stuffing balls and cranberry jelly. Plus there is no need for washing up afterwards, freeing up more time to sit back in your favorite chair and enjoy a good old James Bond film.'' 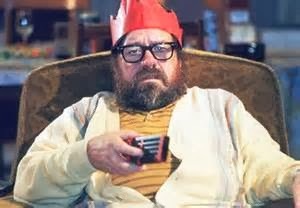 An ideal Christmas dinner for the Royle Family, I suggest! Budding gastronomes can rest easy, as the can’s contents still tickles the tastebuds. The spokesman added: ''HotCan recipes are really rather delicious. You won’t be awarding any Michelin Stars, but they are certainly up there with your respectable ready meals. HotCans consist of a can of food surrounded by an outer can, with a water sachet and processed granular limestone in between. Customers insert the spike into the rim of the can, piercing the sachet and causing the water to flow into the limestone. This triggers a natural heat-producing reaction which warms up the food to 60 - 70 degrees celsius. Remember- this is all you are missing!